Are your kids counting down the days until school ends? My daughter, Savannah, only has two more weeks of preschool and then summer vacation official begins. Kids are excited, but parents, including myself are wondering what to do with the kids to keep the kids busy and entertained. If you are planning any long car rides and have a DVD in the car for the kids, or want to stock up on DVDs to have on hand for rainy day entertaining, here are some wonderful science-oriented DVDS new from NCircle Entertainment worth checking out. And, best of all, you can get all four DVDs for only $45, which is a steal if you ask me. 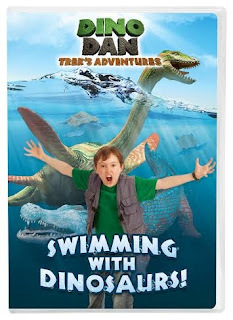 Both of my girls enjoyed this new Dino Dan DVD, which is approximately 90 minutes in length. This is one DVD worth picking up to share with that special dinosaur lover in your life. They will definitely get a kick out of this show. 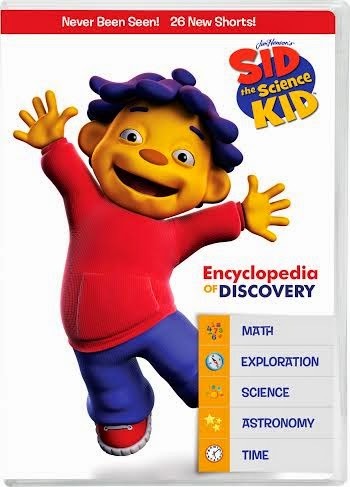 Next up is my personal favorite of the bunch, Sid the Science Kid: Encyclopedia of Discovery. "Sid the Science Kid inspires children to ask questions about how the world works, embracing every child’s natural passion for fun and discovery. Explore 26 exciting topics with Sid and is friends in this Encyclopedia of Discovery!" This hit animated series, which airs daily on PBS Kids, is a favorite among my girls, and I love sitting down to watch this show with them and seeing them learn all about science, math and more. This new DVD release is a great compilation of episodes that touch on STEM topics including math, science, astronomy, exploration and time. Even if you have never seen Sid the Science Kid before, once you sit down to watch an episode, you and your kids will be hooked. Sid is such a lovable character and you will be amazed at just how much your kids will learn, and how they will be ask why just like Sid does. With a run time of about 110 minutes, kids will learn about primary and secondary colors, telling time, and even how water changes into steam. This DVD is made up of 26 exciting never before seen mini-episodes (plus a bonus episode, "Get Up and Move!) that are sure to keep your kids excited about learning and entertained this summer. 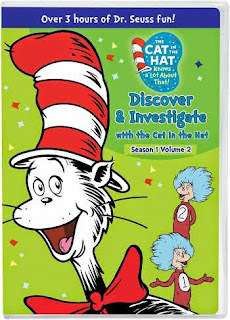 "Season 1 of Cat in the Hat is now on DVD! Discover and investigate with the Cat in the Hat, Sally, and Nick as they are whisked off on extraordinary voyages of scientific discovery. Hop on the thinga-ma-jigger and let’s explore!" What are the different uses of bamboo? Can two different animals help each other live? What is cow's milk used for? 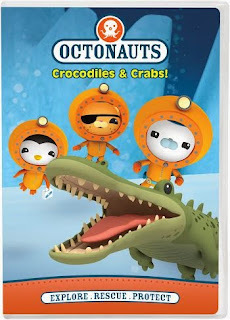 "Sound the octo-alert and join the Octonauts above and below the waves! Help them rescue a gigantic saltwater crocodile, learn about hermit crabs and their shells, and explore a sunken pirate ship with slime eels. Enjoy these adventures and more now on their new DVD Crocodiles & Crabs!" With 90 minutes of Octonauts fun, fans of the show will be entertained this summer with this DVD, either at home or on the go. My girls have already watched this DVD over a handful of times, and always bring it in the car for viewing while on the go. 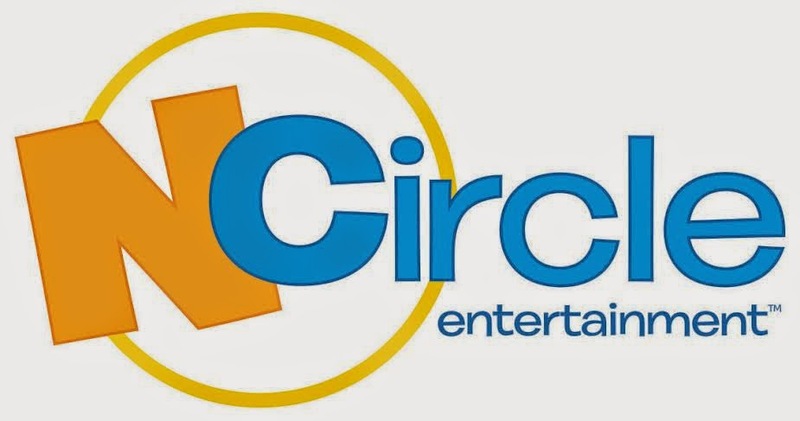 Hopefully the above NCircle Entertainment DVDs will provide hours of viewing enjoyment for your child(ren) this summer, while also teaching them about science and exploration. My girls loved each and every DVD sent, and are learning so much, while being entertained. Thanks to the kind folks at NCircle Entertainment, one lucky Inspired by Savannah reader will win all four DVDS mentioned above, to enjoy with their kids this summer. The estimated retail value for this science-inspired DVD collection is $45.00. To enter this fun DVD giveaway, please complete the entries on the Rafflecopter form below. Good luck!